As you look for a skincare product that suits your skin type, tone, and budget, it’s easy to get overwhelmed. There’s no shortage of brands and ranges to choose from, each one (if the packaging is to be believed) better than the next. While lots of packages are saying the same thing in a myriad of different ways; at Biologi, it’s our mission to cut through the marketing crap to help you make better and more informed choices. While we are scientists, we don’t want to baffle you with said science, we aim to keep things honest and simple so that you know exactly what you’re paying for. Which brings me to whole plant serum as a skincare product. I know you’ve been bombarded with the media telling you to add a face serum product to your daily skincare routines and to be honest, with good reason. That’s right, if what we read is to be believed, whole plant serum can quickly cure all our skin complaints and charge you through the perfectly-cleansed nose for the privilege. And, to an extent, they’re not incorrect. Whole plant serum can do all of those things. Plant serum is a liquid consistency rather than the creamy texture that we’re used to with moisturisers. Regardless of the ingredients, this difference in texture alone means that pores are less likely to become blocked which is one of the main causes of breakouts. 2. Penetrate deeper than moisturiser to improve efficiency. By design, serums don’t contain the waxy solids of creams, lotions and moisturisers. This means they can penetrate the skin at a deeper level and therefore reach the cells that normal moisturisers can’t get to. While a price tag can make or break a sale for many people, there’s no denying that the small bottle of face serum is great value for your money. Face serums contain a higher percentage of active ingredients than traditional moisturisers which means that you don’t need as much of the product to reduce fine lines and combat aging, so they stretch further. So, when asked if you should consider serum, our answer is a resounding YES! As always, there’s a but! What you’ll find when you dig a little deeper is that while serums do generally have a higher activity, existing off-the-shelf products still only sit at around 2% activity. Plant serum is highly unstable and current extraction processes such as maceration and percolation negate the activity. In simple terms, this means that synthetic activating ingredients have to be added to your bottle of serum which reduces the active ingredients to barely anything in some cases. And, you’ve guessed it, synthetic ingredients make your ‘eau natural’ product, not very natural at all. So here we go again. Now you’re paying a lot of money for a natural plant serum that has been engineered so much that it’s now so far removed from the natural product you’ve been sold that it’s barely recognisable as natural at all. 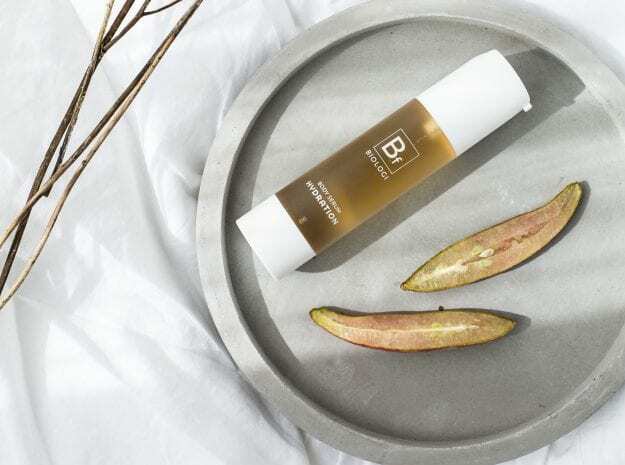 While we hands down support the use of face serum in your skincare routine, to address the obvious inconsistencies between what’s written on the outside of the bottle and what’s inside it, Biologi has developed a unique extraction method to give you pure plant serum in your whole bottle. Better yet, our serums are 100% active which means that it doesn’t need any chemicals to provide results. Each plant has its own liquid matrix developed over millions of years to ensure the plant’s survival, growth, and reproduction. Our innovative extraction method harnesses the plant’s internal process and the untouched combination of phyto-actives to provide a 100% active plant serum which means your product functions, works and operates exactly as it does within a plant. And, because our products are used to working in a cellular environment, they work on your skin exactly as they work in the plant…giving you results! But here’s a valid question we get asked all the time. If what we’re saying is to be believed, how can a natural product exist out of the plant without preservatives? The short answer, because Biologi is ‘whole plant’. One of the reasons we’re the only product on the market which doesn’t need to include a preservative is because our serums are untouched – from extraction to bottling – so the plant’s cellular matrix is intact. The phyto-activity is kept at the same levels they were inside the plant, along with it, maintaining the purity. Our current products are extracted from Davidson Plum, Kakadu Plum and Finger Lime which contain Vitamin C, a large number of Phenolic acids and many other antioxidants. Working alone, these skin-loving products get results but put them in synergy with each other and the skincare magic really happens. When you use Biologi – you don’t need moisturiser or any other face, eye or body product.